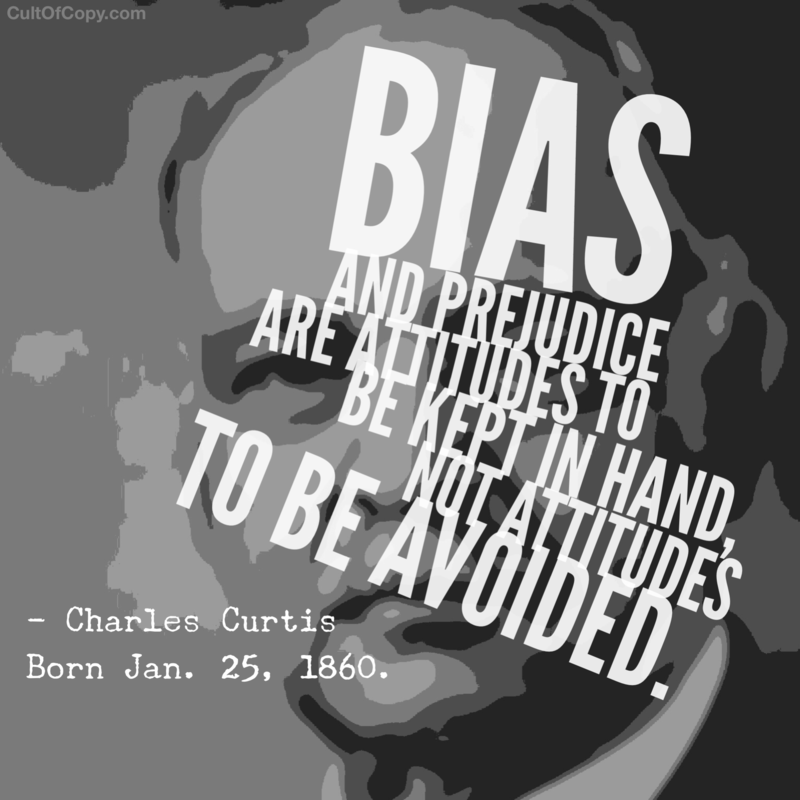 “Bias and prejudice are attitudes to be kept in hand, not attitudes to be avoided.” – Charles Curtis, Born Jan. 25, 1860. 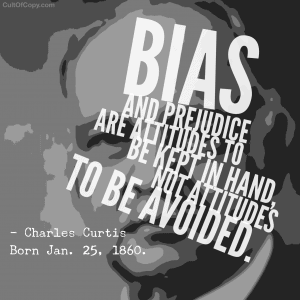 BIAS! PREJUDICE! Those are bad words, right? In general, in one's personal interactions with other people you don't necessarily want to APPLY bias and prejudices if you aim to be a fair and equitable sort. But you ABSOLUTELY want to keep these attitudes at hand when you interact with people for the purpose of persuading them. Our unspoken, perhaps distasteful or unpopular prejudices are almost like secret keys to controlling our psyche. Demonstrating to someone that your “secret” prejudices and biases align with theirs is a quick way to gain their acceptance and build rapport. A mark's inherent beliefs about the world – including who their enemies and inferiors are – can be used to get a grip on people and use their own momentum to propel them toward the action you want, almost like a Judo throw. See, they keep their unpopular opinions to themselves rather than risk being ostracized for them. But if you show that you share them, now you are a secret co-conspirator. You are in silent cahoots against common enemies. And you can use their perception of you as an ally to get them to do the things you want them to. That's just a matter of presenting your desired opinion or action in a way that perpetuates or remains consistent with their existing biases and prejudices. This is why “the secrets THEY don't want you to know” is always such an appealing description for any piece of information. People's are automatically against the perceived enemies they feel are holding them back, and that low-grade perpetual opposition will make them desire anything that irks those villains. So pay attention to the information people leak about their internal prejudices and biases, and you have a way to control them that they don't necessarily realize they've given up. Who do they see as inferior to them? Who do they see as being undeservingly vaunted? Who do they see as being a force that oppresses them? Who do they feel should be below them if things were “fair”? These are the “handles” you can grab them by and yank them around how you like. Do you feel this is okay? To lead the bull around the arena by the ring he showed up with? I do. And I don't feel bad about leveraging what the target brings on the trip as baggage in order to get what I want out of the situation. But a final warning: These are powerful control mechanisms, so do please use with caution.